58 classic and contemporary works of American art, officially marking the start of Art Everywhere US. From now through August 31, the largest outdoor art show ever conceived, as a nationwide celebration of America’s artistic heritage. 230 years of American art, are drawn from the collections of five major museums across the country—the Art Institute of Chicago; the Dallas Museum of Art; the Los Angeles County Museum of Art (LACMA); the National Gallery of Art, Washington, DC; and the Whitney Museum of American Art, New York. 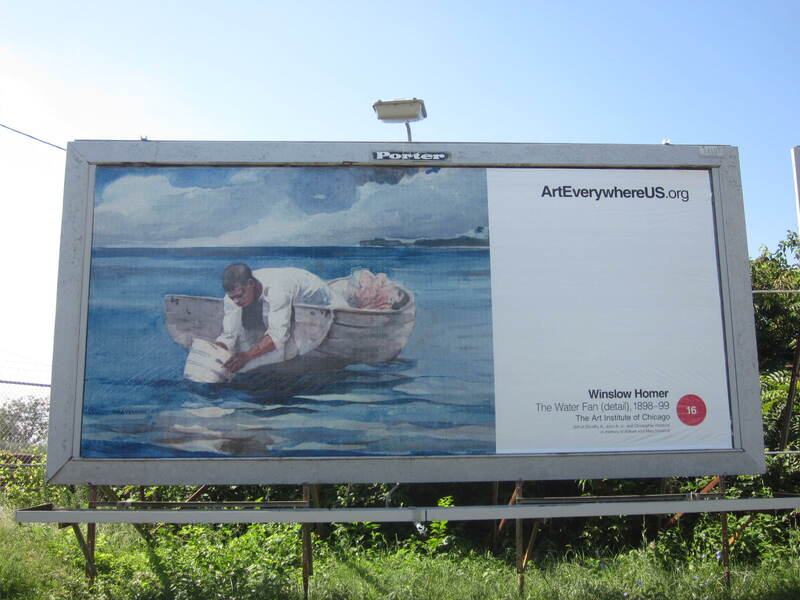 The museums have collaborated with the Outdoor Advertising Association of America (OAAA) and its members to present Art Everywhere US with the co-operation of artists, estates, foundations, and rights agencies. 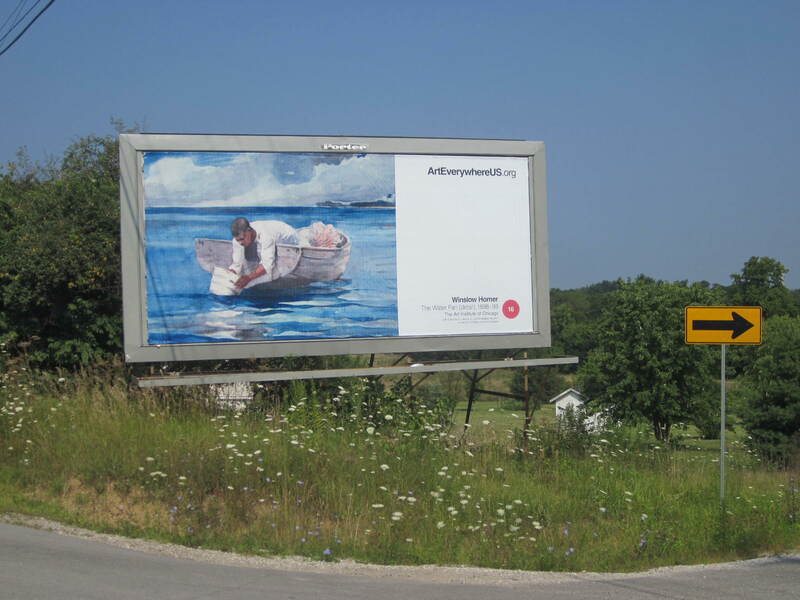 The choice of artworks was informed by a public vote on www.ArtEverywhereUS.org, which now functions as an interactive art gallery. 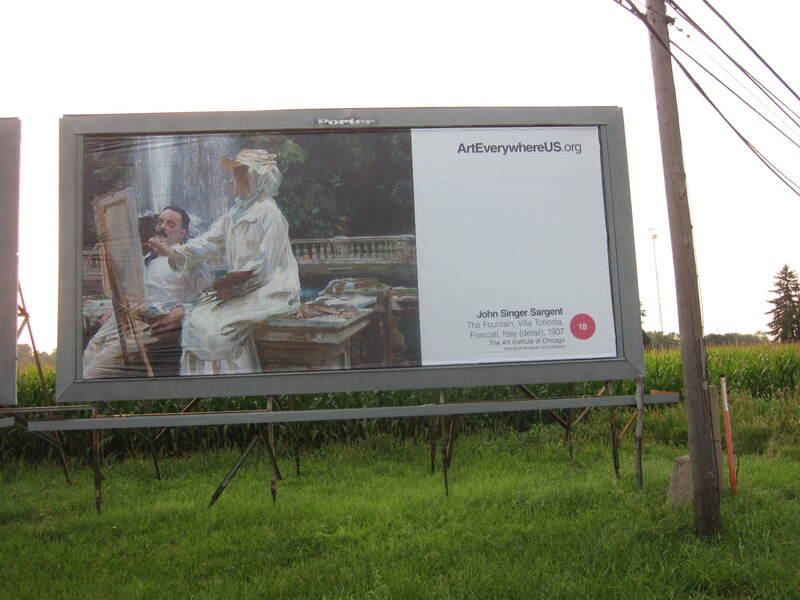 Visitors to the site may retrieve information about the selected works, read about the story of art in the United States, see which works are on advertising displays in their vicinity, and find the locations of specific works around our area, and the United States. As the displays went live in Times Square, museum leaders gathered with representatives of OAAA and its members in the Regal E-Walk movie theater on New York’s 42nd Street for an event to mark the start of Art Everywhere US. Nancy Fletcher, President and CEO of the Outdoor Advertising Association of America, was joined by Maxwell L. Anderson, the Eugene McDermott Director, Dallas Museum of Art; Donna De Salvo, Chief Curator and Deputy Director for Programs, Whitney Museum of American Art; Douglas Druick, President and Eloise W. Martin Director, Art Institute of Chicago; Michael Govan, CEO and Wallis Annenberg Director, LACMA; Deborah Ziska, Chief of Press and Public Information, National Gallery of Art; and Richard Reed, co-founder of Innocent Drinks, who originated Art Everywhere in 2013 in the UK.